The Caledon Shipbuilding and Engineering Co was a British shipbuilding company based in Dundee on the east coast of Scotland. 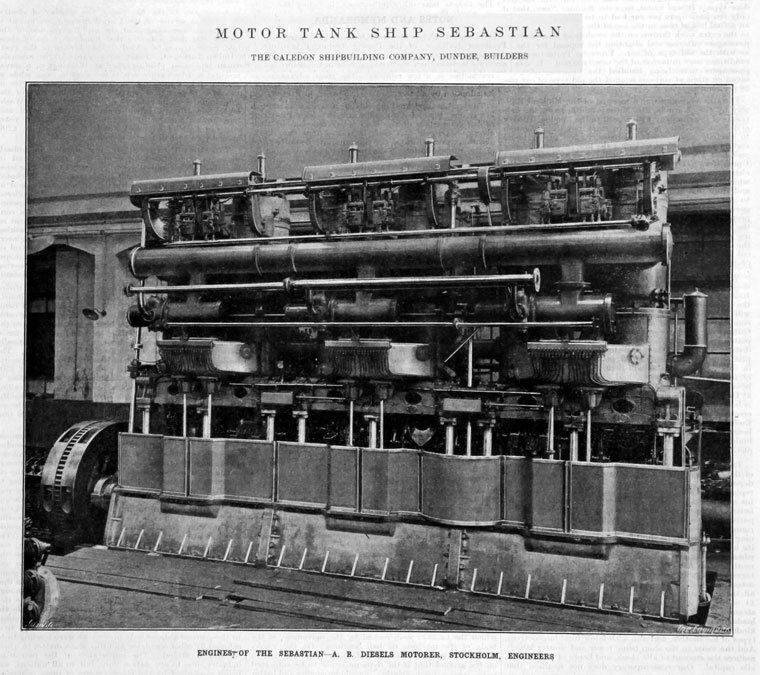 It established its reputation for building cargo liners of high quality. 1866 Caledon was formed, named for its first customer, the Earl of Caledon. 1896 The Caledon Shipbuilding and Engineering Co came into existence with a large shareholding held by Brown and Tawse Ltd who were local steel stockists. Acquired W. B. Thompson and Co., Ltd., of Dundee, and the Lilybank Engine Works. 1900s Almost immediately, the yard began making cargo-liners, most notably Californian, the ship that was later to be 12 miles away from Titanic on the night it sank, and which did not respond to its distress signals. The yard also made a number of fishery cruisers during this period, for a variety of companies along with steamers, tankers and refrigerated meat carriers. WWI A busy period for the yard with its regular output of merchant ships running alongside orders for two standard "A" types, three "D" types and six standard "C7" coasters. As the war ended, the yard transferred to a new larger space: the Stannergate yard to the east of the old Caledon yard. 1920s Alfred Holt and Co took a 41% share in the Caledon Yard which led to the focus on building large cargo-liners of which 35 were made for Holt's Blue Funnel Line service and many more for other companies. In addition, tankers, coastal steamers and ferries were also made during this time. 1930s The Depression saw all six berths empty and most work was dry dock repair work at the Dundee Harbour Trust's dry dock. Things only started improving in 1936 when orders for a tug, a wine carrier and seven other ships re-established the work flow again. This led on to orders for tramps, colliers and sugar carriers. WWII The Caledon yard made frigates, corvettes, seven standard "B" types tramps, four fast cargo-liners, three fleet refuellers along with private merchant orders. repairs were carried out to over one thousand ships including many destroyers and submarines. 1950s the Caledon yard focused on building passenger/cargo liners and from 1946 to 1970 made 54 such ships. Alongside this, tankers and smaller ships were made along with lighthouse tenders, steamships and river craft. 1960s The yard diversified its portfolio in order to stay in business: it now made tugs, three ferries, three sludge carriers and two motor ferries. 1965 The main shareholders in the yard, the Alfred Holt Group were reorganised into the Ocean transport and Trading Co. and the yard was offered for sale. 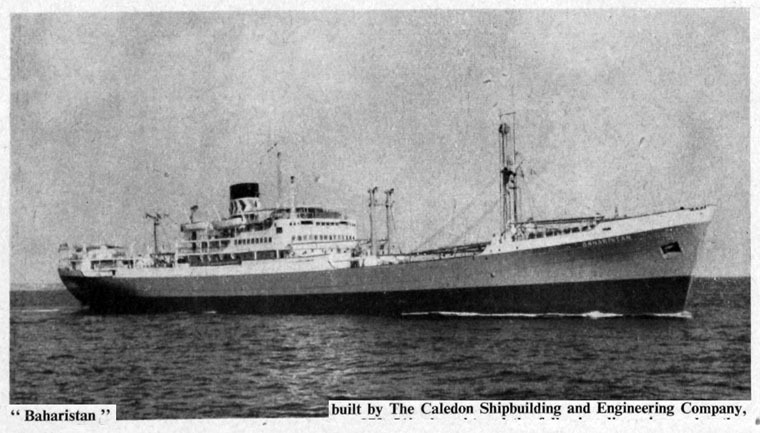 The Caledon shipbuilding and Engineering Co. was taken over in 1968 by Henry Robb Ltd of Leith. 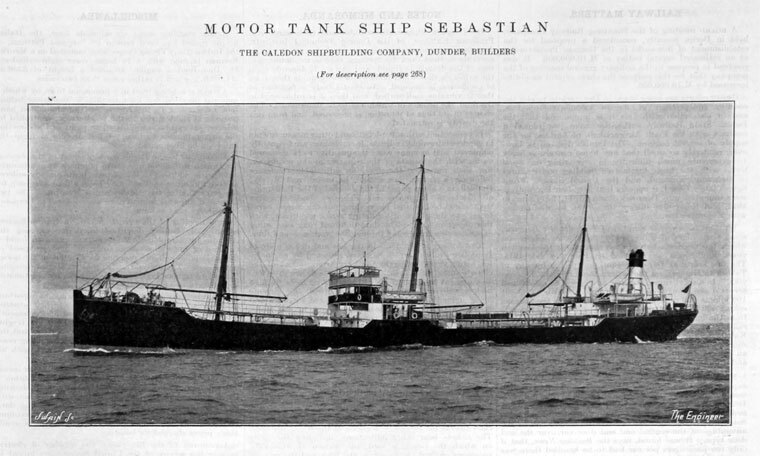 Both yards then traded under the name Robb-Caledon Shipbuilders Ltd. In the late 60s the yard made a number of roll on/roll off ferries along with chemical tankers, and cable ships. 1980s The Dundee yard was closed in 1981. The Caledon fitting-out berths were taken over by Dundee Port Authority for cargo import/export wharves. This page was last edited on 18 May 2016, at 14:53.